1. 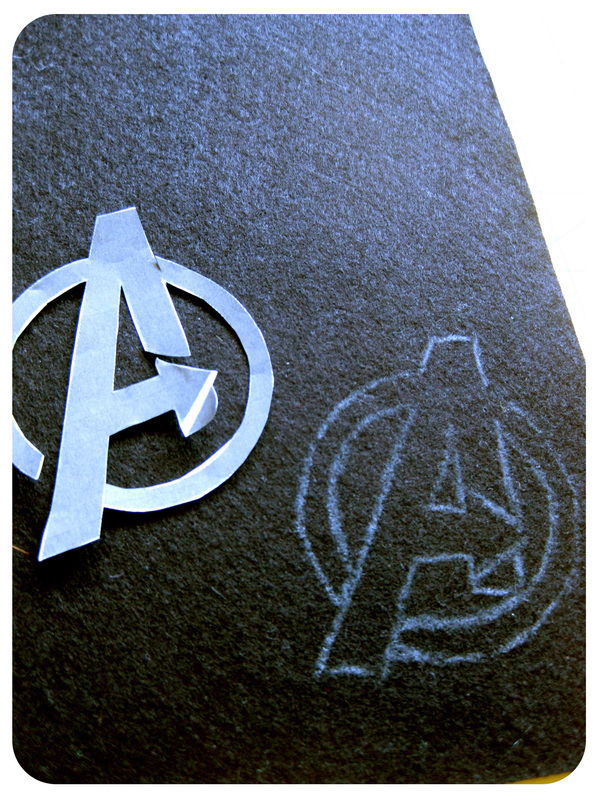 What I did first was use Google image search to find an image of the Avengers logo to use. Luckily, I found one that would work perfectly. 2. Once you find your image, print it out the size you would like to make your design. In my case, I wanted something that was roughly 2.5 inches across, so I printed out the logo to be slightly smaller than that at 2.25 inches. Then cut out you image. 3. 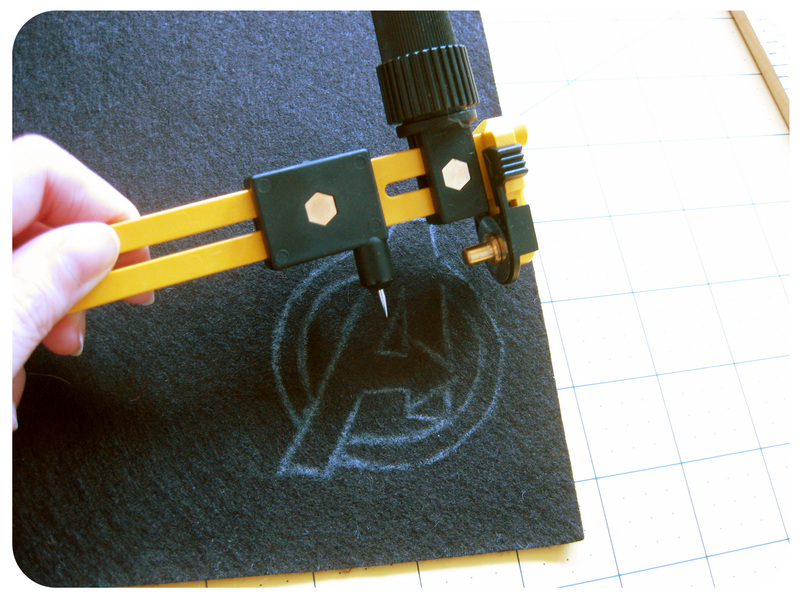 Trace your image onto felt that matches the color you want to make your design. 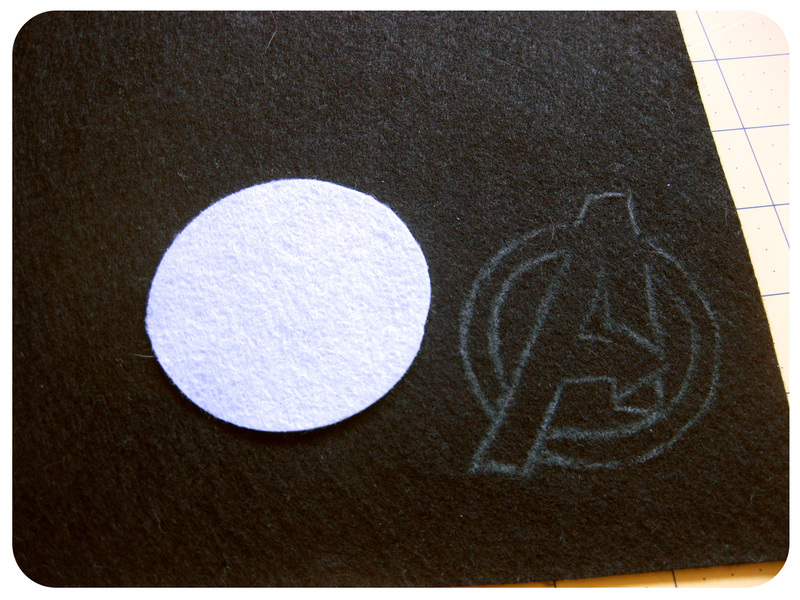 You can use any felt, but in this case I choose to try out wool felt. It tends to be a bit thicker and doesn’t pill as much as synthetic felt and seemed perfect for this project. I ordered mine from here. 4. For this design, I wanted to have something to support the “A” so I cut a circle in a complimentary color that would fit behind it. I used a rotary circle cutter like this one, but you could easily use the rim of a glass or something else that’s round to trace around. 5. After I had my pieces cut out, I glued them together using fabric glue. 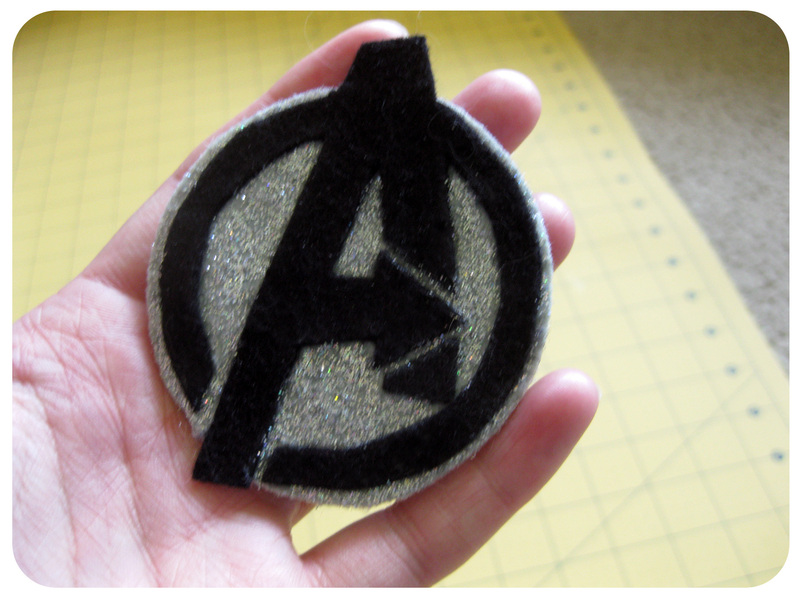 Once dry, I watered down a little of the glue and brushed it onto the gray felt where I wanted the glitter to go. 6. 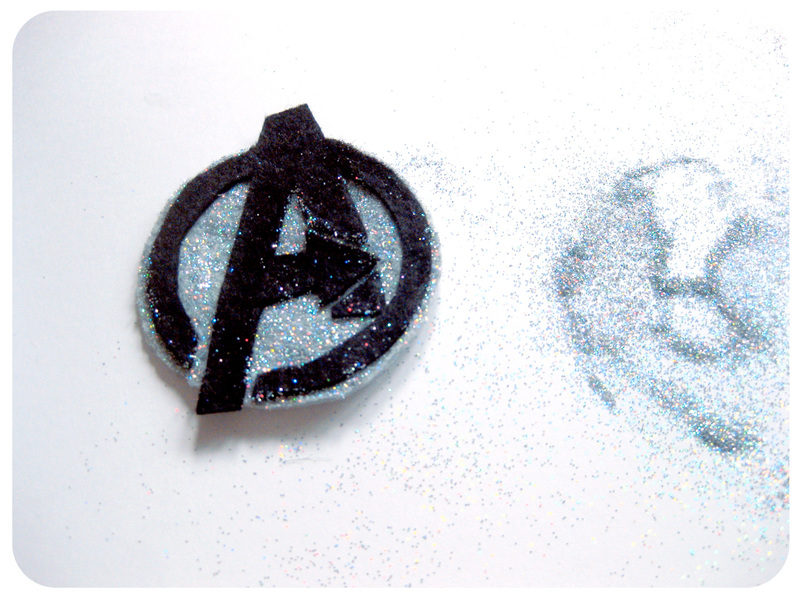 I then applied the glitter liberally to the glue area and shook off the access. 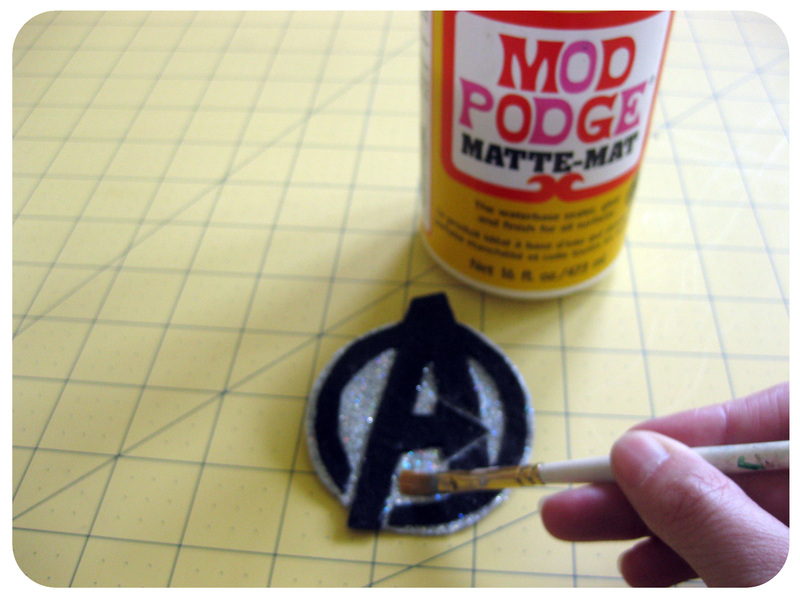 I noticed that some of the glitter was still coming off, so I brushed on some modge podge to seal the glitter in place. 7. To add a little more support and stiffness, I added an extra circle of felt to the back. 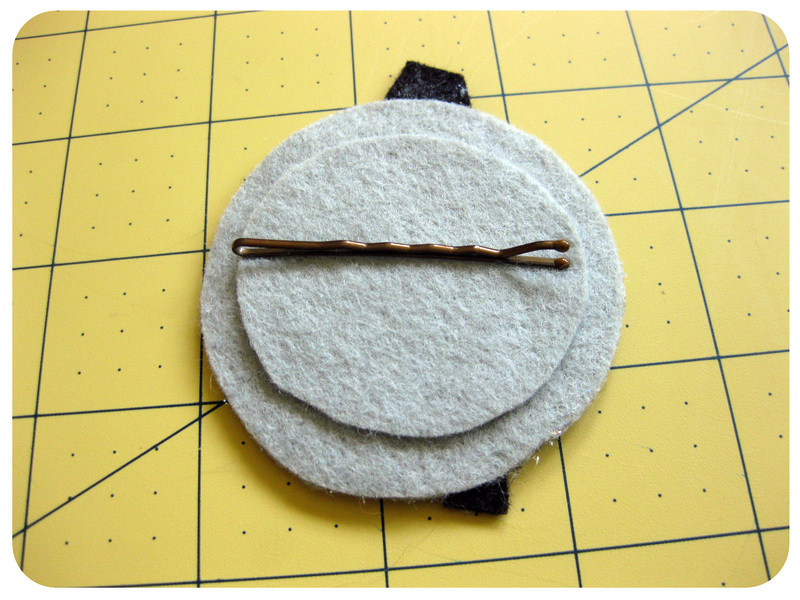 Lastly, I used some crazy glue to attach the bobby pin to the back of the felt logo. I hope you guys liked the tutorial! What kind of fascinator would you make? Do you have some suggestions for tutorials you’d like to see in the future? 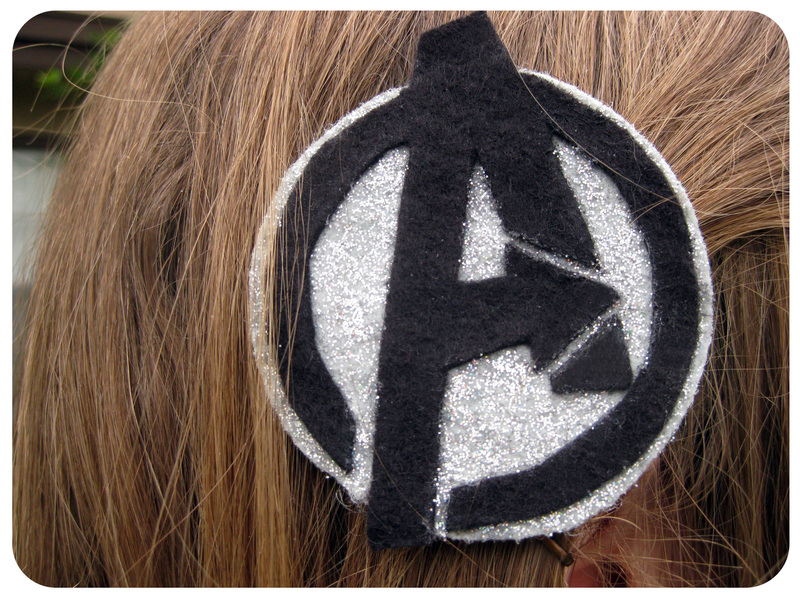 And for those of you who haven’t seen The Avengers yet, make sure you check it out!